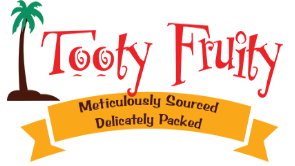 We started our family business back in 2005, with the mission of supplying delicious snacks from around the world. We've been doing just that ever since. We track down snacks from every corner of the world, snacks that taste and look amazing. We bring them to the UK where they're carefully mixed and packed. We love them, and we think you'll love them too. None of our products is air-freighted, everything comes by sea or road. Some of our range contains palm oil, we only buy products which contain RSPO certified oil. We calculate the carbon emissions we use as a company and offset them each year. Our plastic trays are at least 50% recycled and 100% recyclable. Our labels and boxes are FSC certified. We re-use 90% of the cardboard packaging in which we receive our products and recycle the rest. We recycle all plastic bags which we receive. We are currently unable to recycle: hand towels; the backing of our labels; thermal transfer ribbons used in our label printer. The only part of our process requiring energy is weighing, which is done by hand on low-power scales, so our energy output is very low. We calculate our carbon emissions and offset them annually.